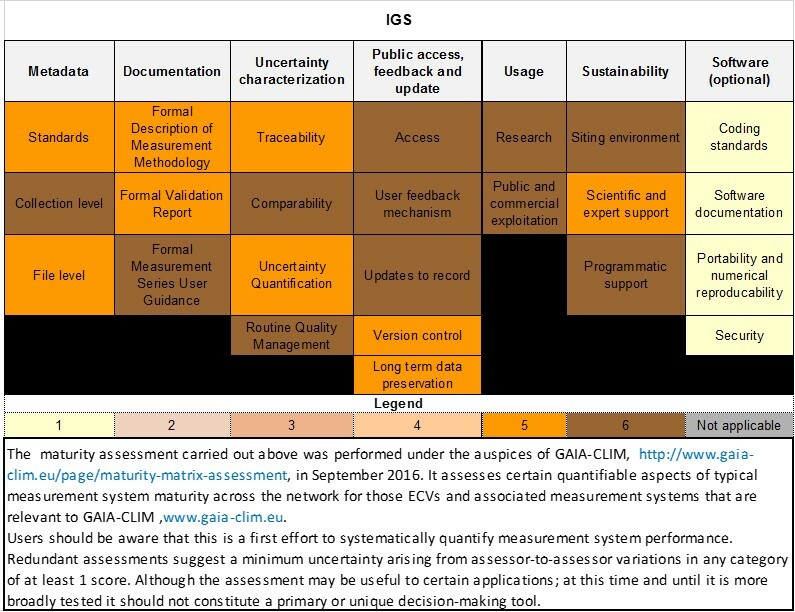 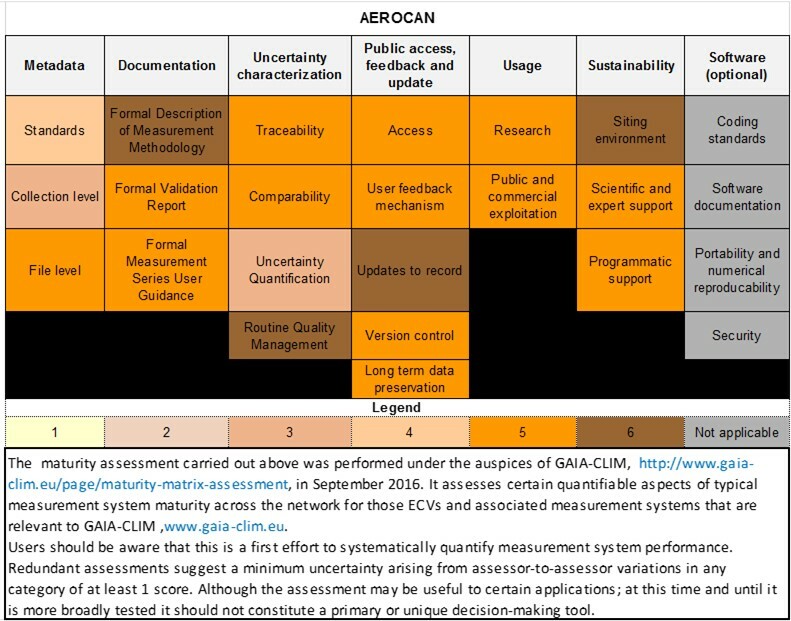 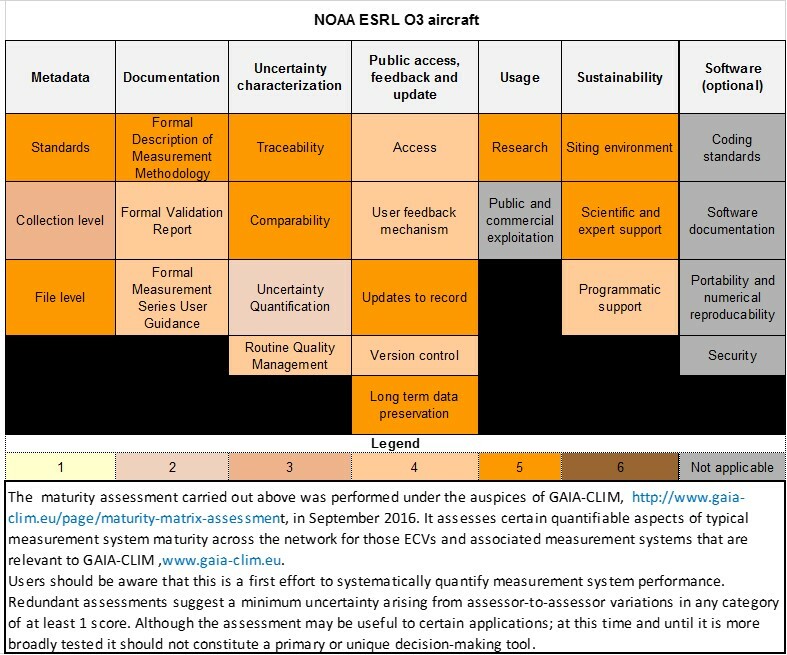 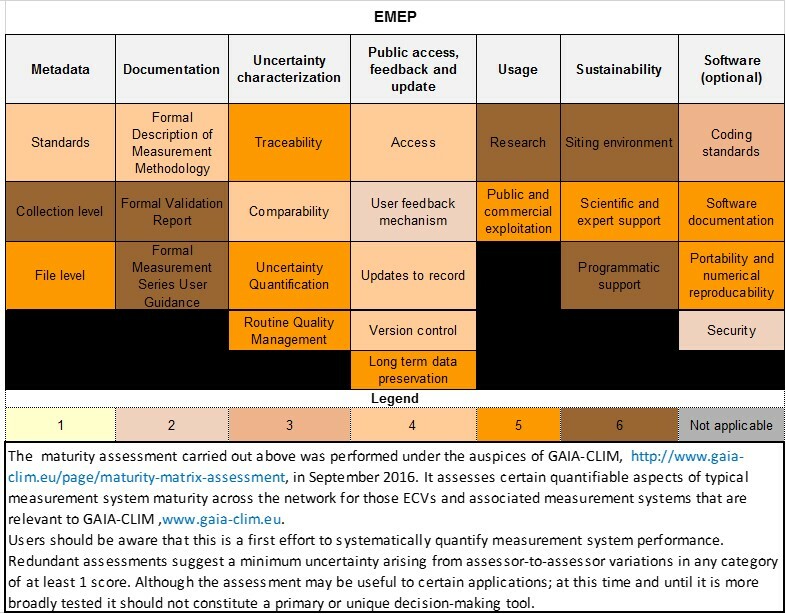 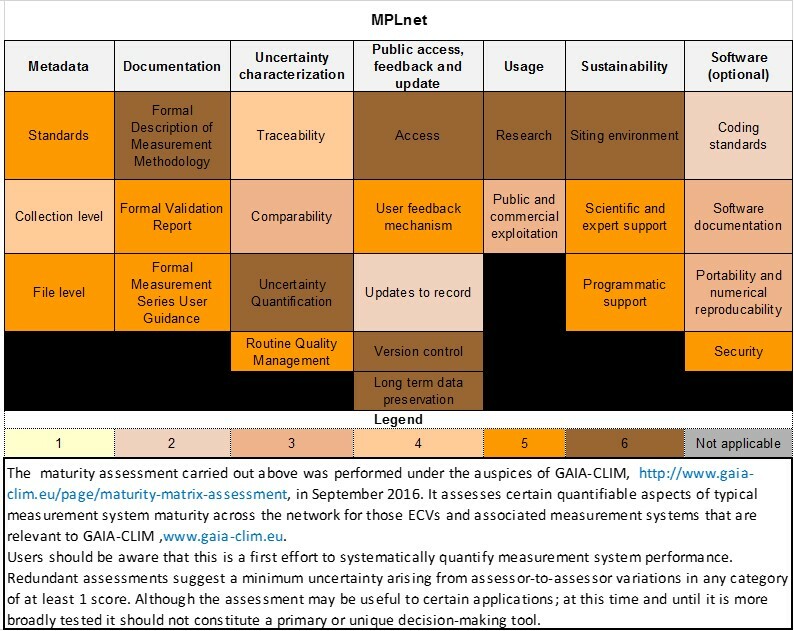 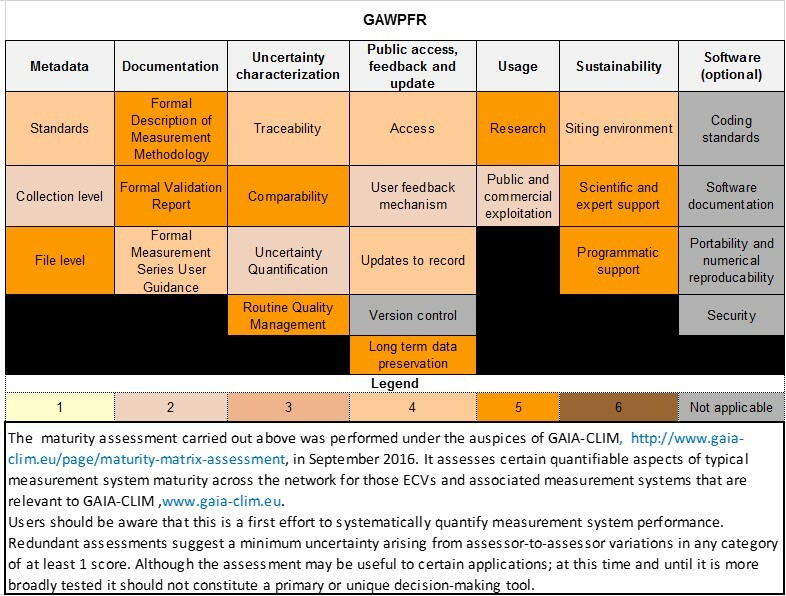 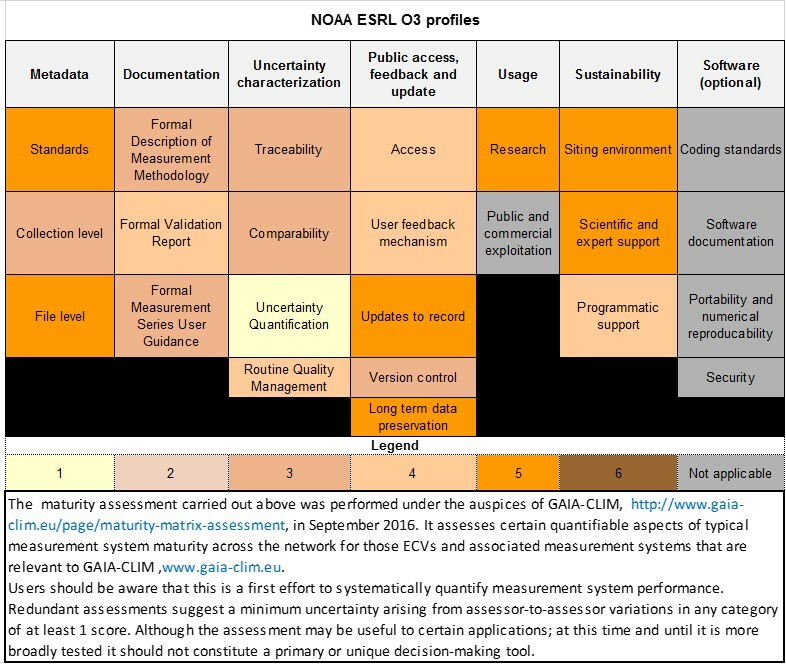 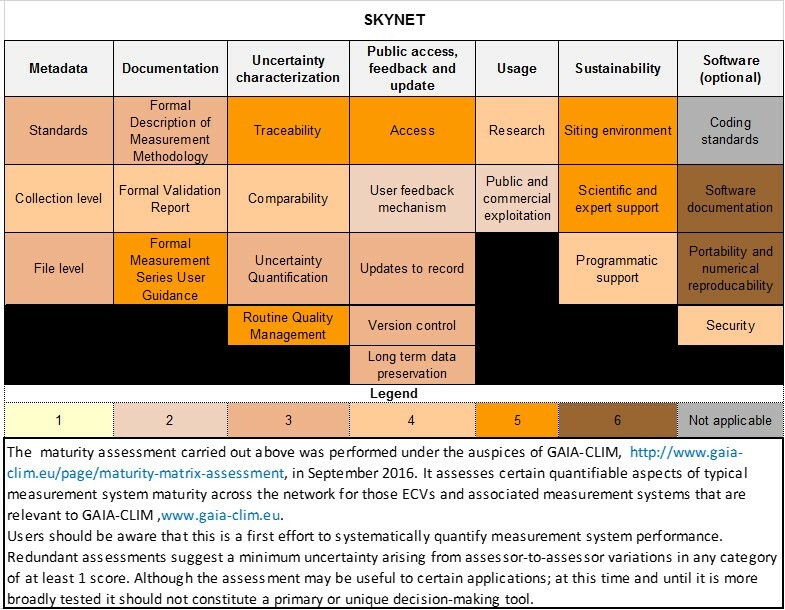 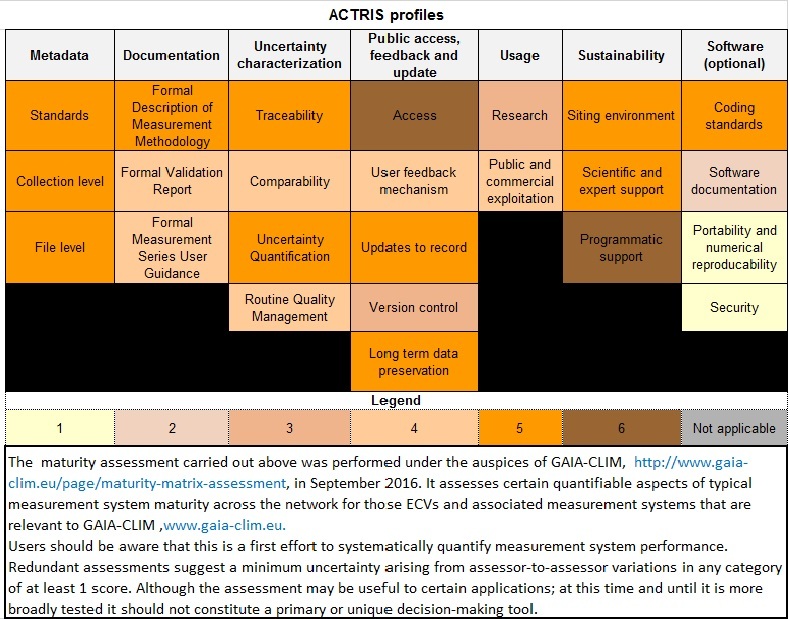 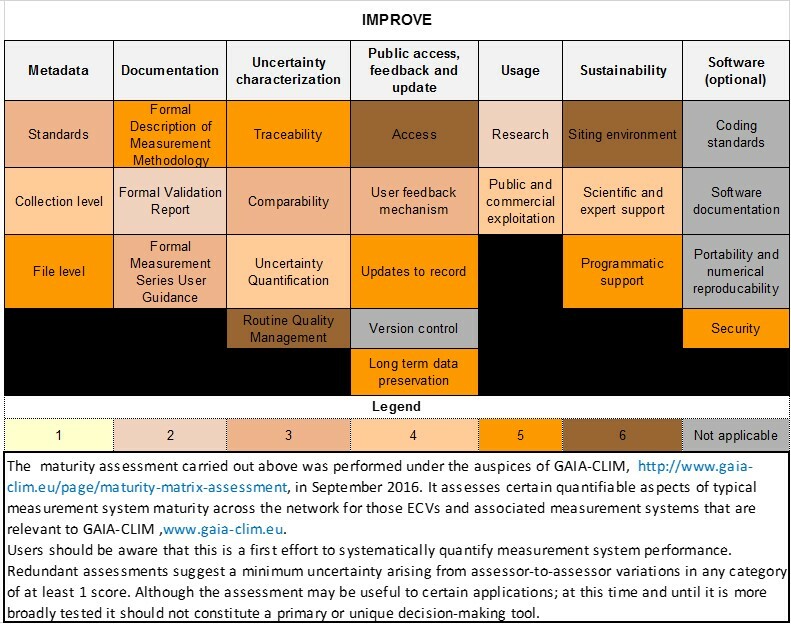 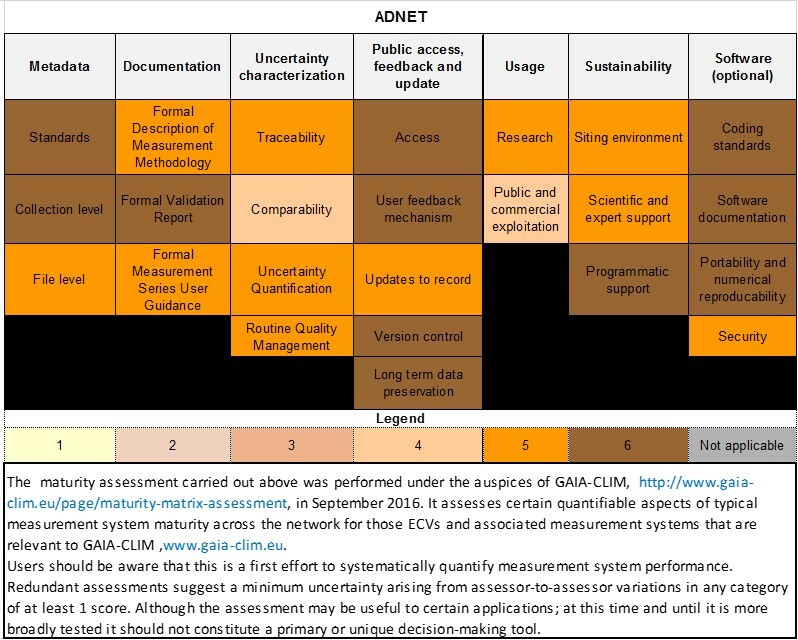 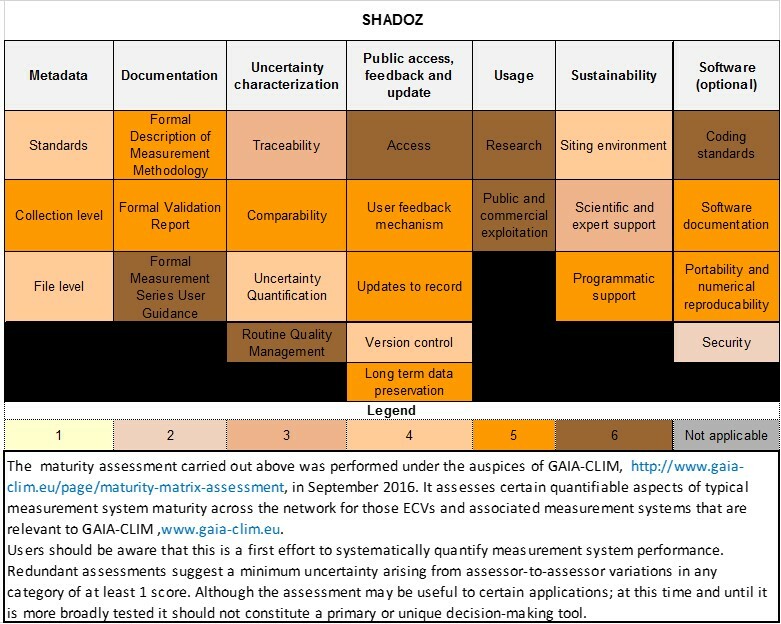 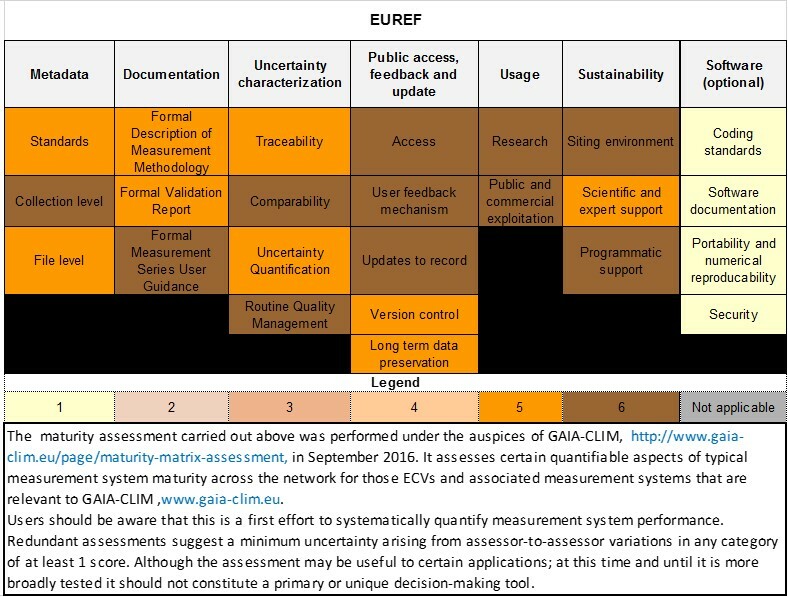 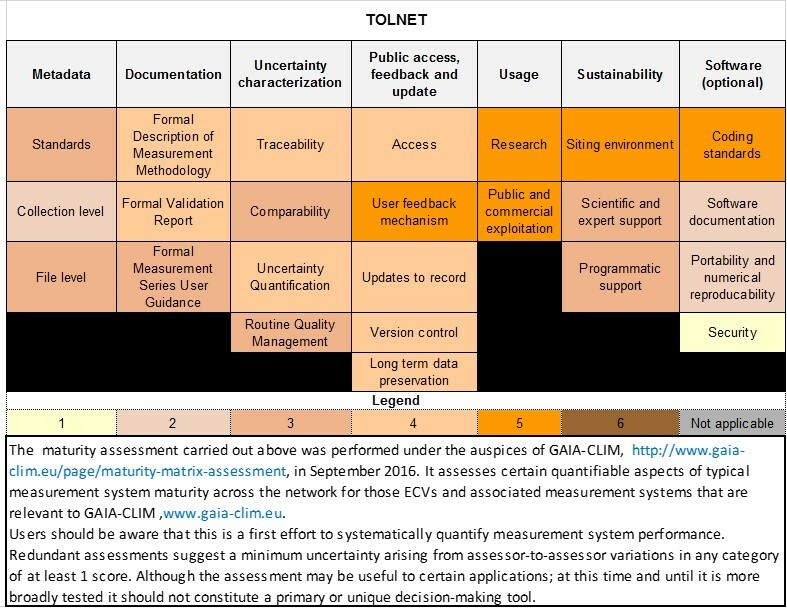 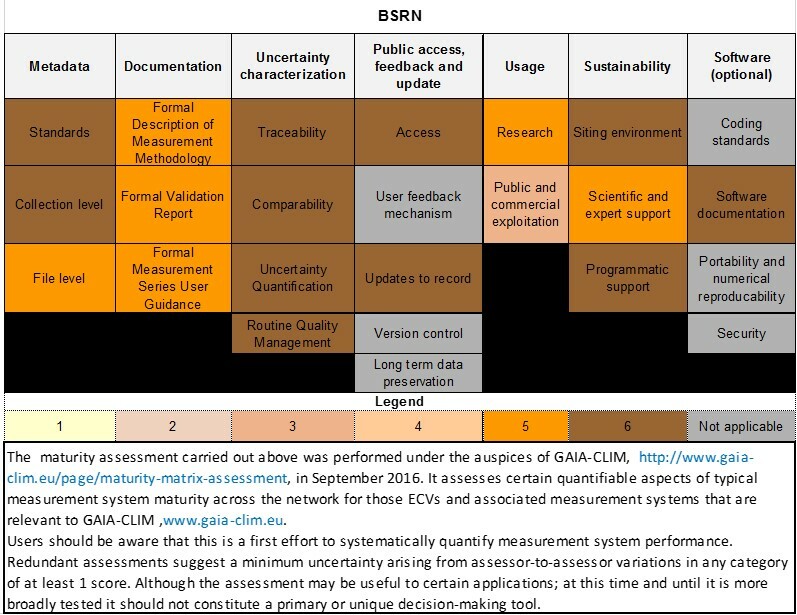 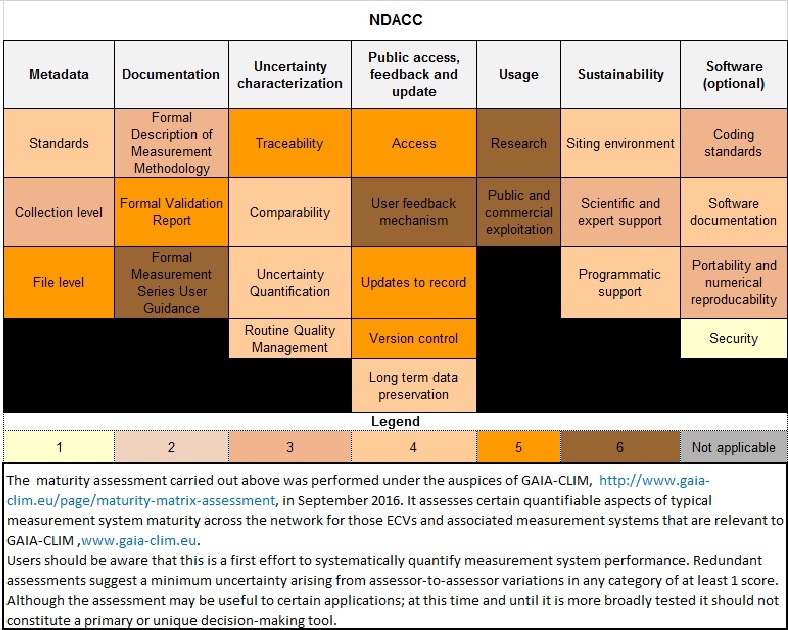 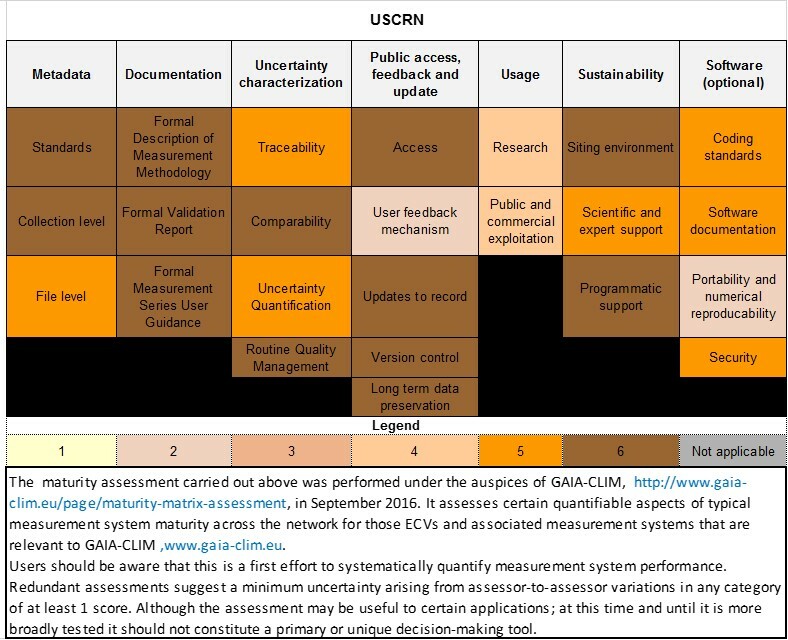 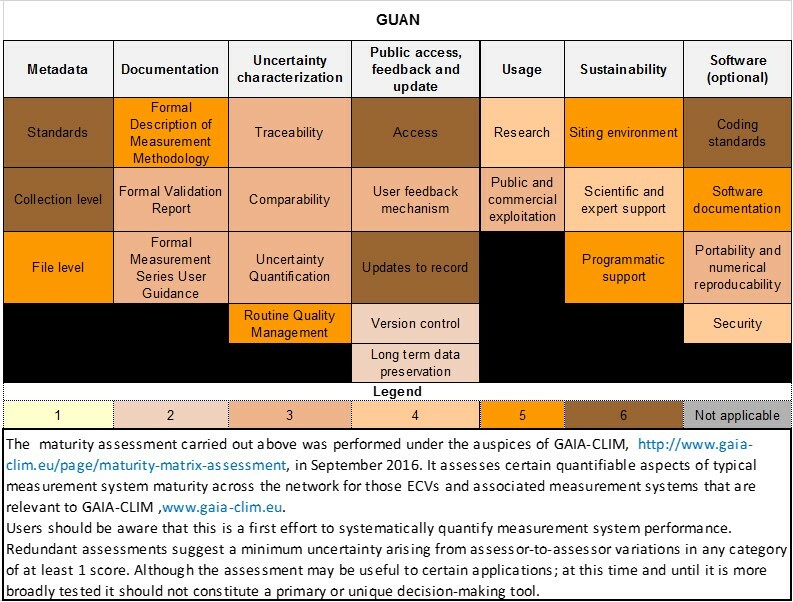 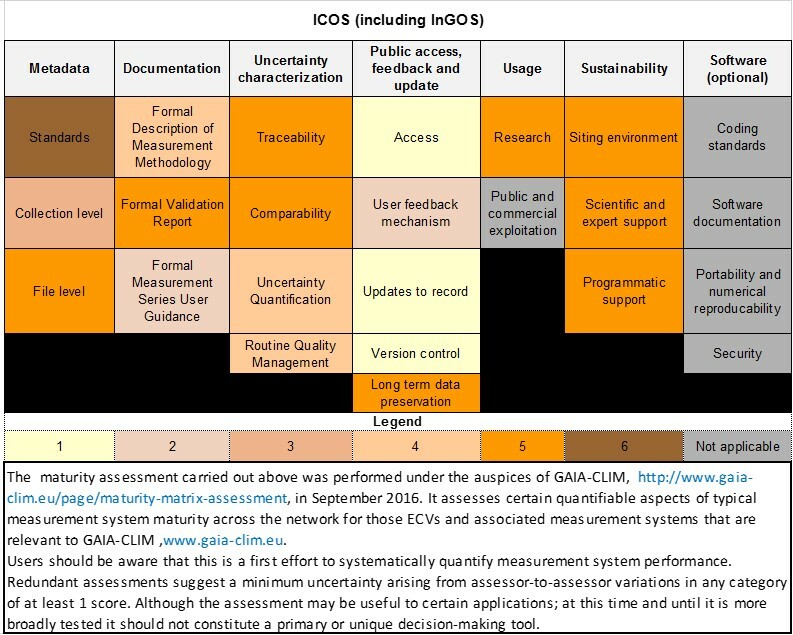 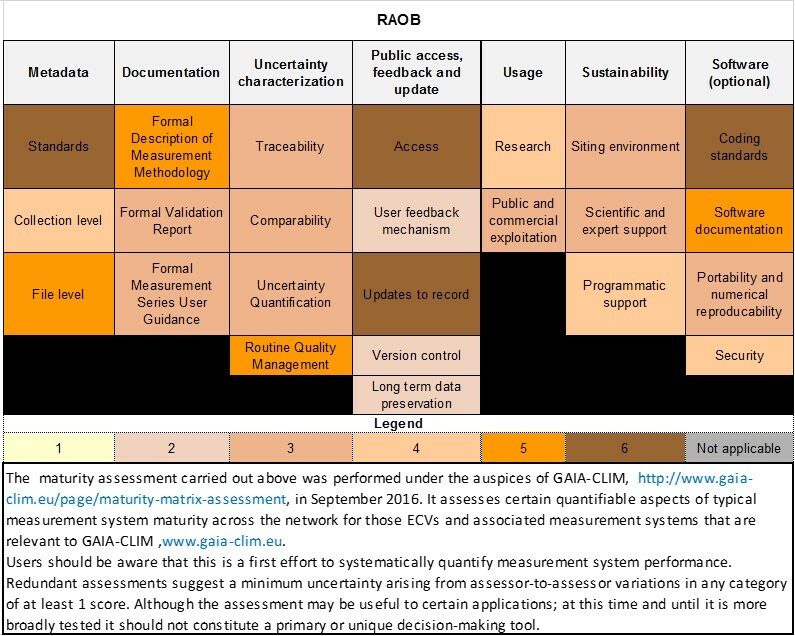 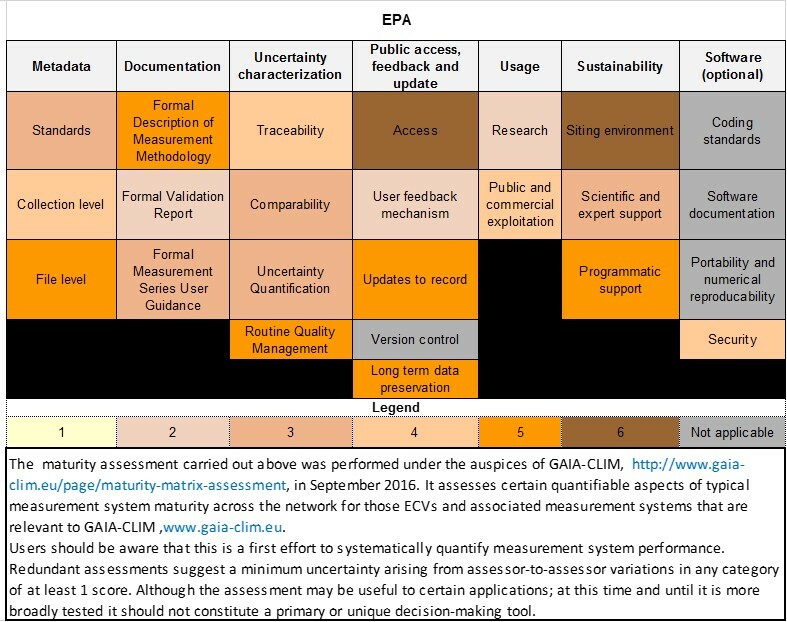 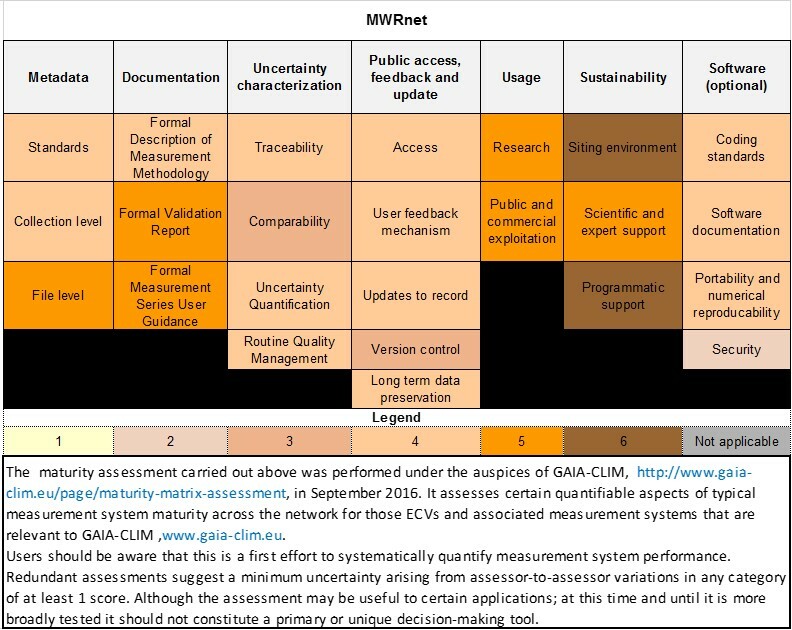 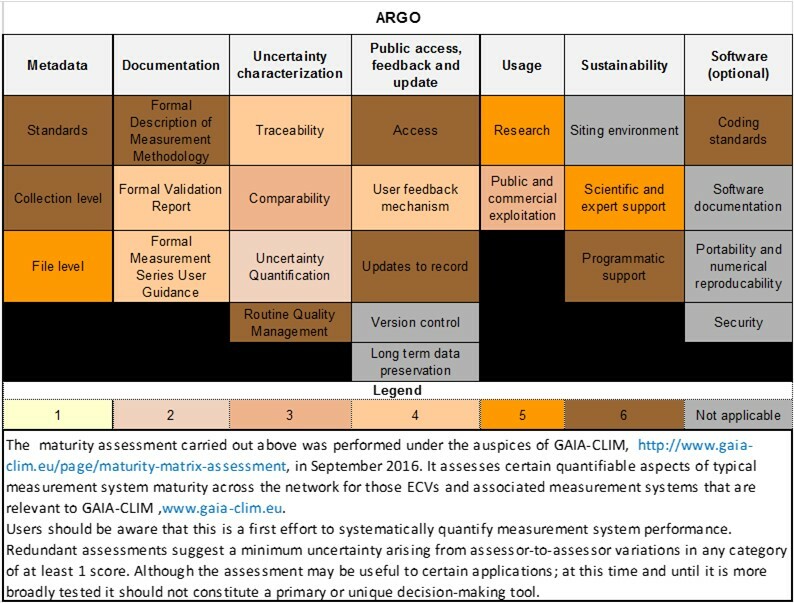 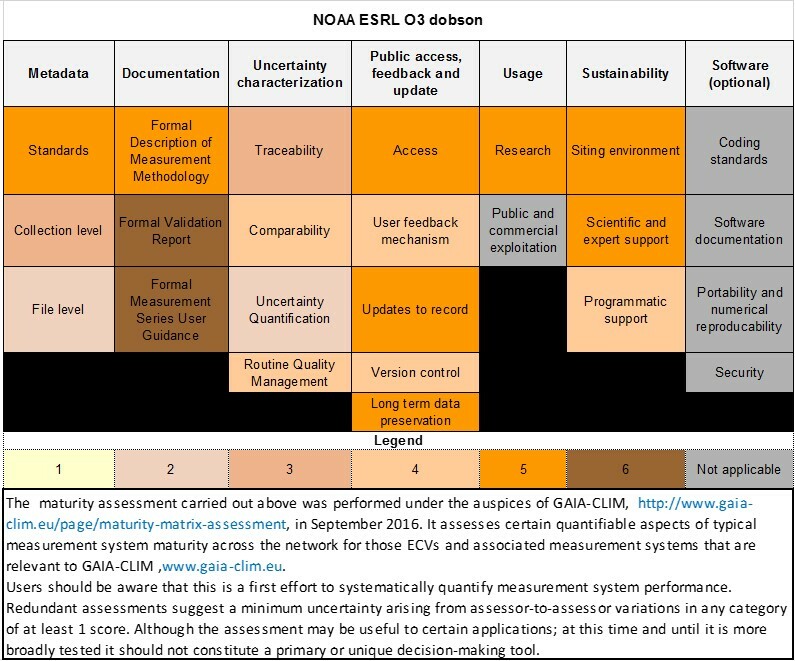 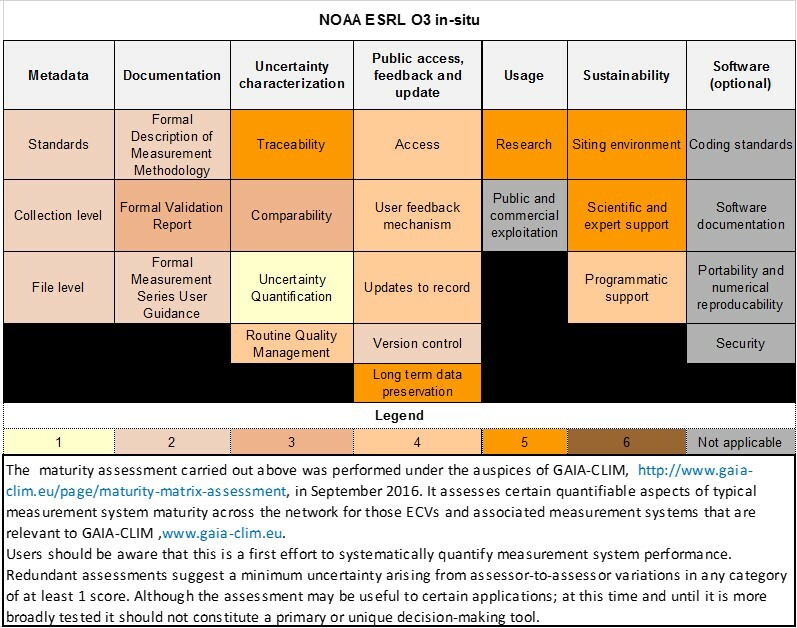 Maturity Matrix Assessments (MMA), are tools developed within GAIA-CLIM to assess various quantifiable facets of the maturity of a measurement system or network of measurement systems. 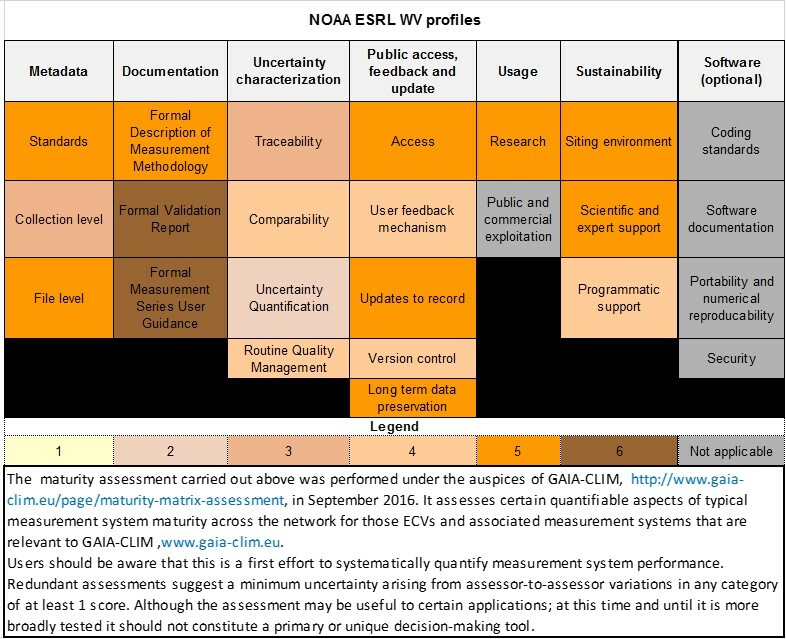 They represent a semi-quantitative classification of certain non-satellite Earth Observation capabilities concentrating upon a subset of Essential Climate Variables. 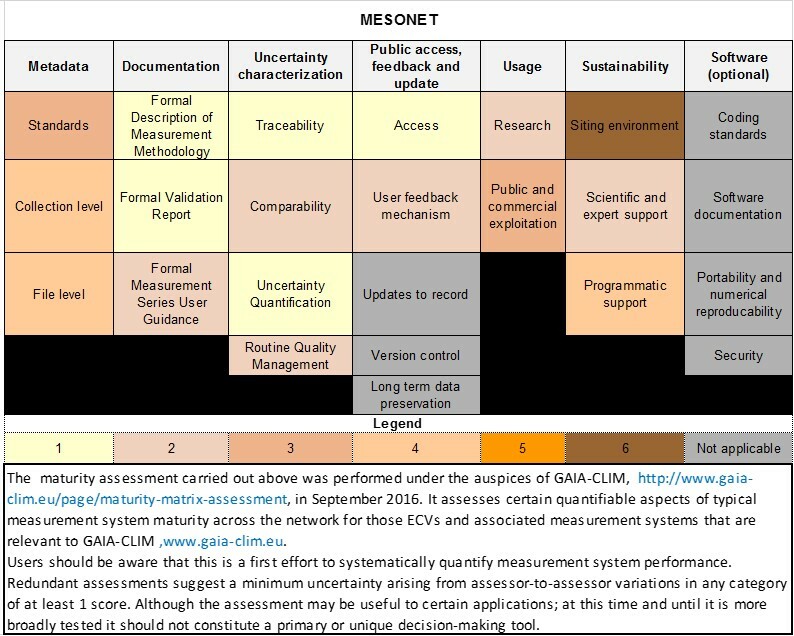 Its use is primarily to assign networks into relevant use-categories using three tiers of measurement capabilities as articulated in deliverable D1.3. 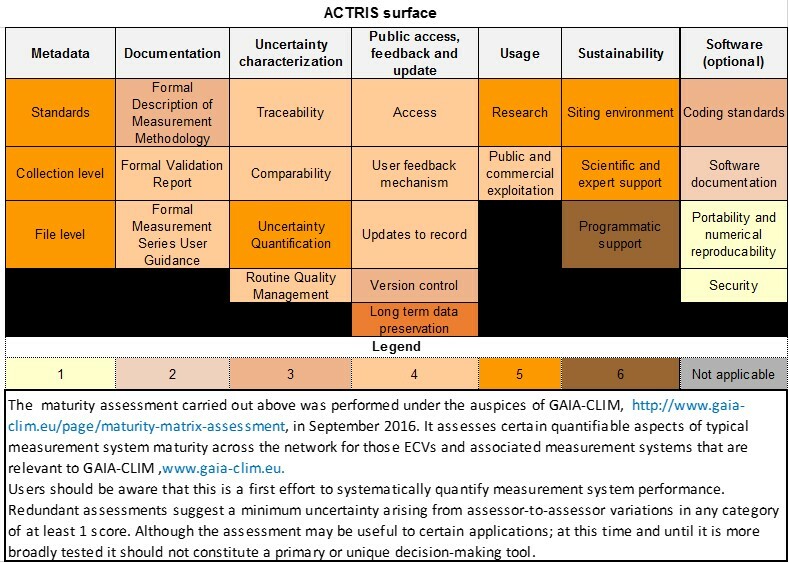 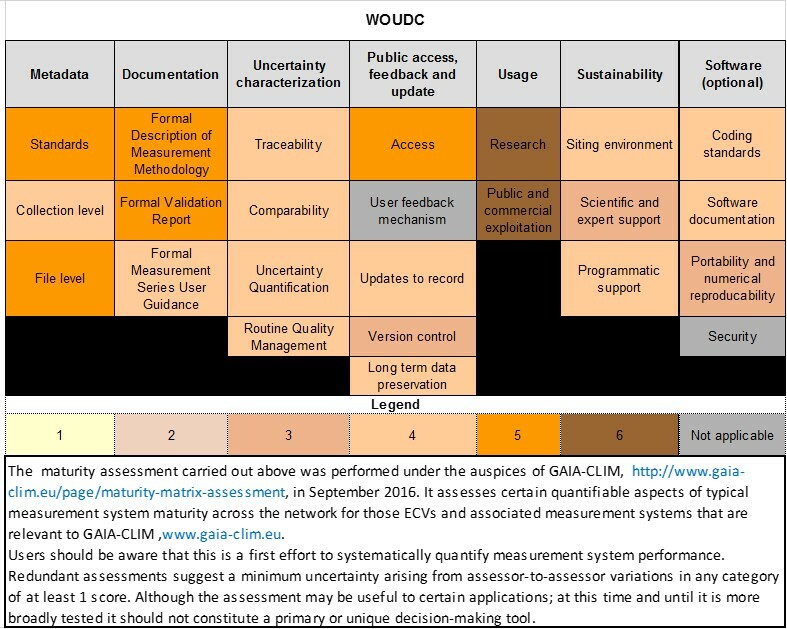 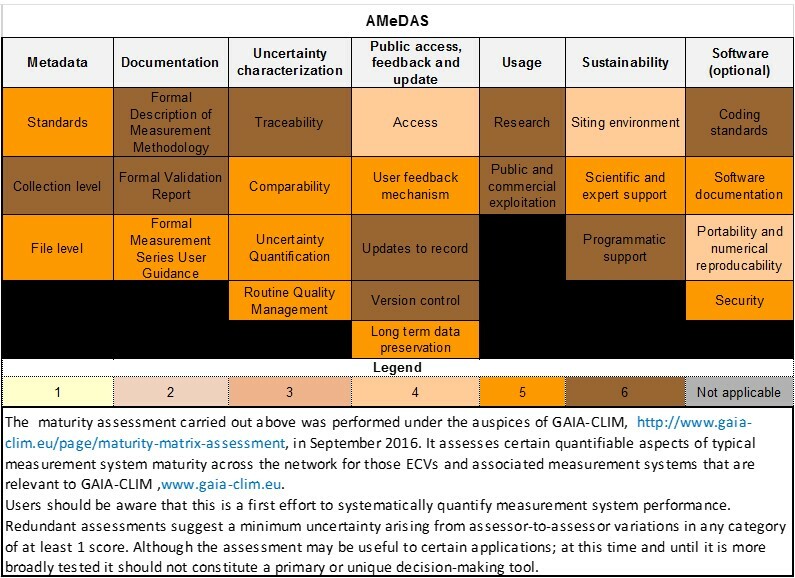 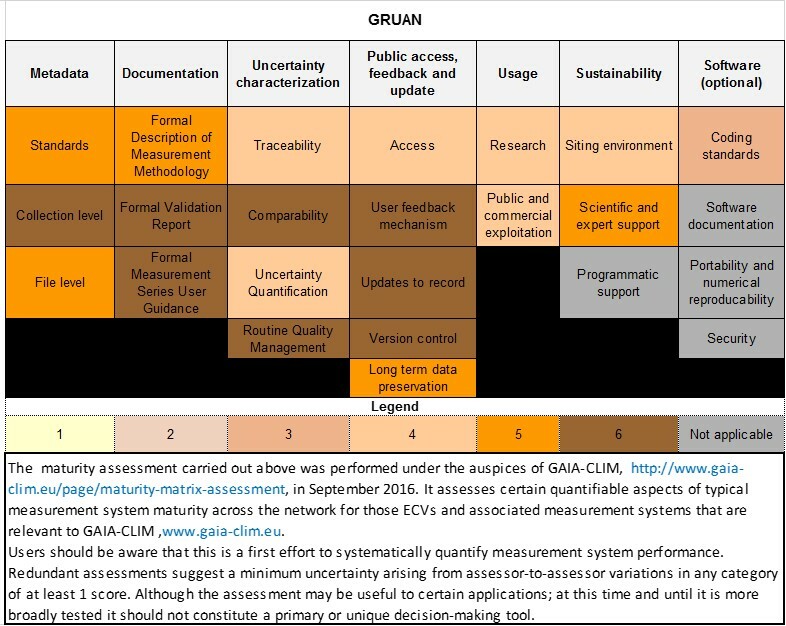 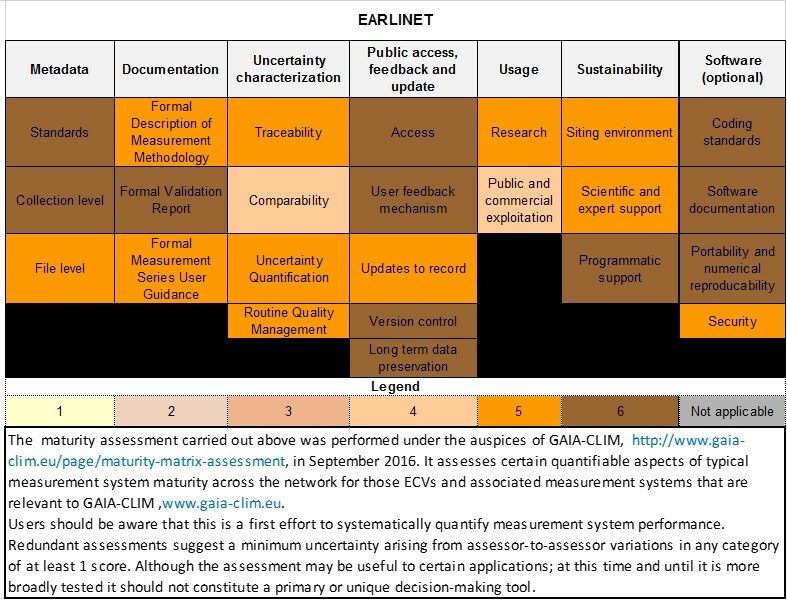 GAIA-CLIM maturity matrices results are summarised in deliverables D1.6 and D1.7 . 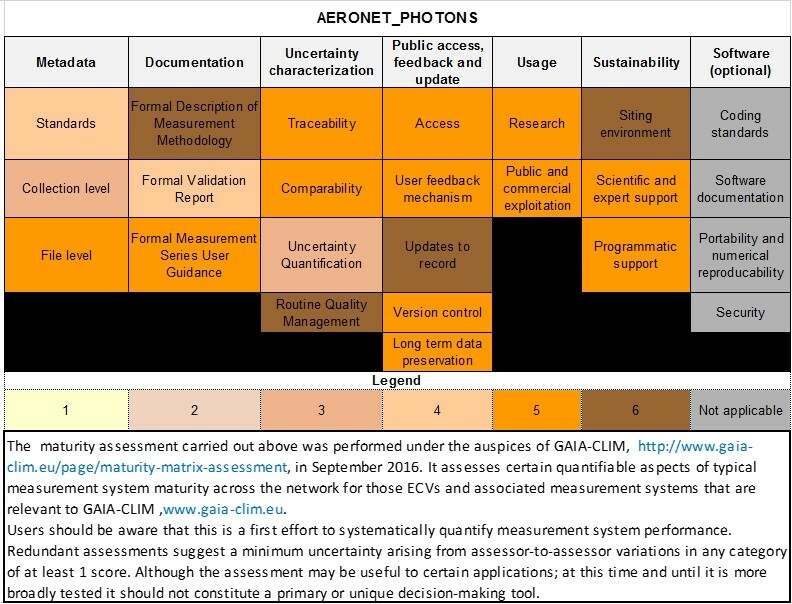 Each strand has two or more sub-categories. Guidance for completion of an assessment is available in D1.3. 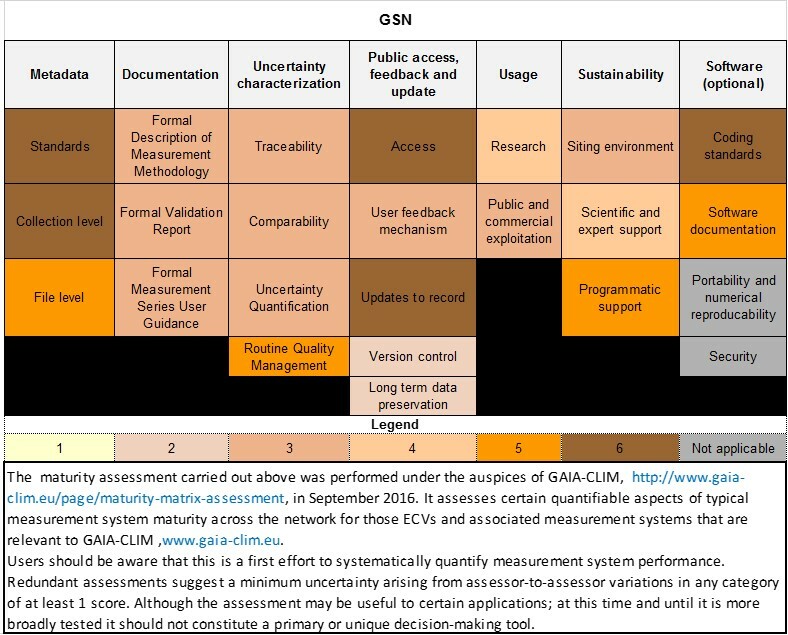 It is important to stress that this constitutes the first attempt at systematically and consistently assessing the maturity of the networks outlined in the full table of assessed networks shown below. 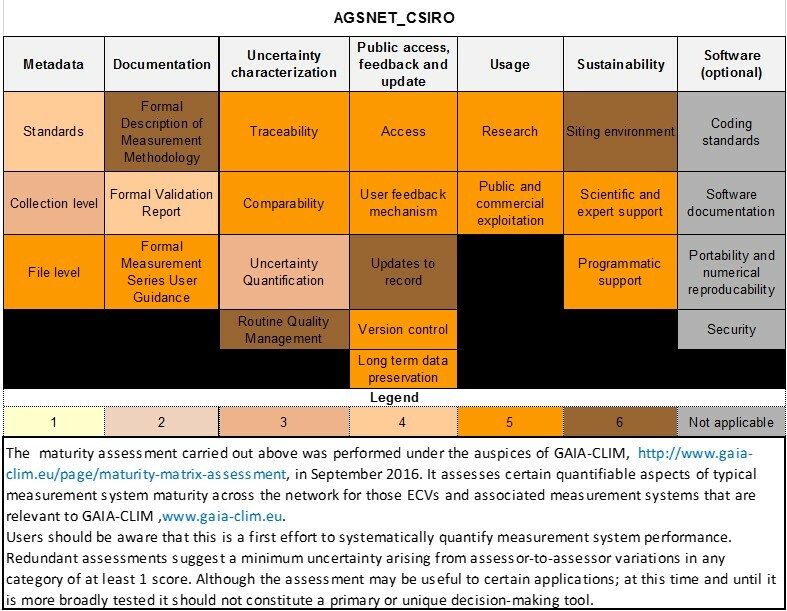 To assess sensitivity several experts were solicited to independently assess certain networks for which they had in-depth knowledge and this assessment suggested assessor-to-assessor uncertainty no smaller than 1 - score level ( out of six) in any case and for some categories much broader. 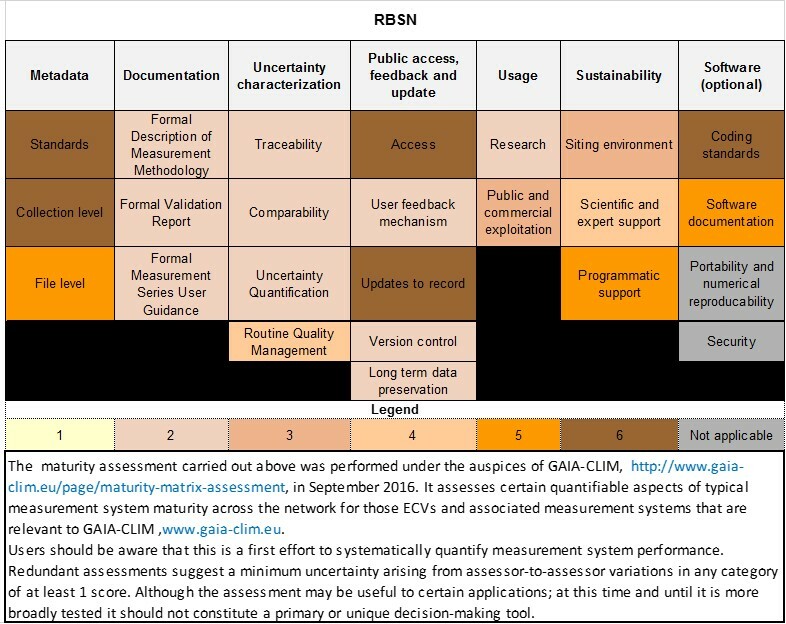 Given this, although the intention of GAIA-CLIM through this assessment is to support users' decision making in evaluating the suitability of a given network for specific tasks, they should not at this stage represent the primary or sole decision-making tool. 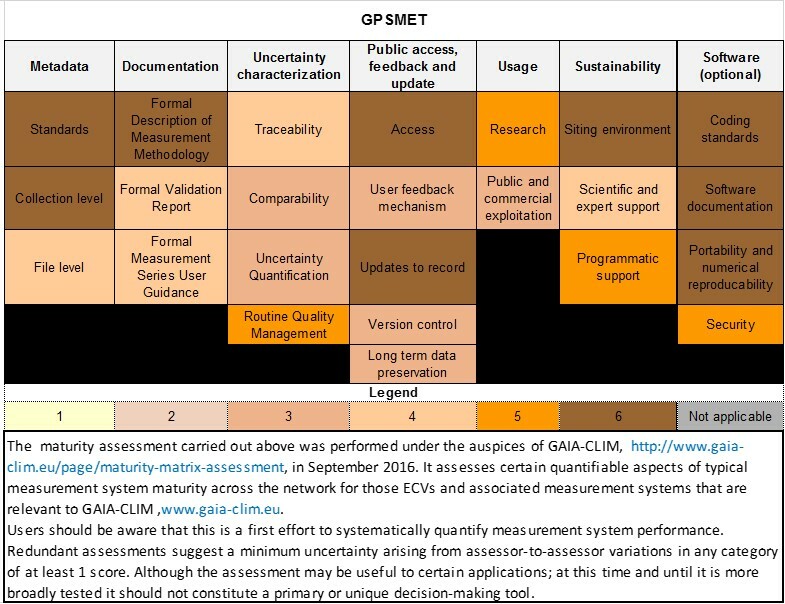 Further development, consultation and experience is undoubtedly still required to refine the guidance, assessment process and tools to better support direct decision-making. 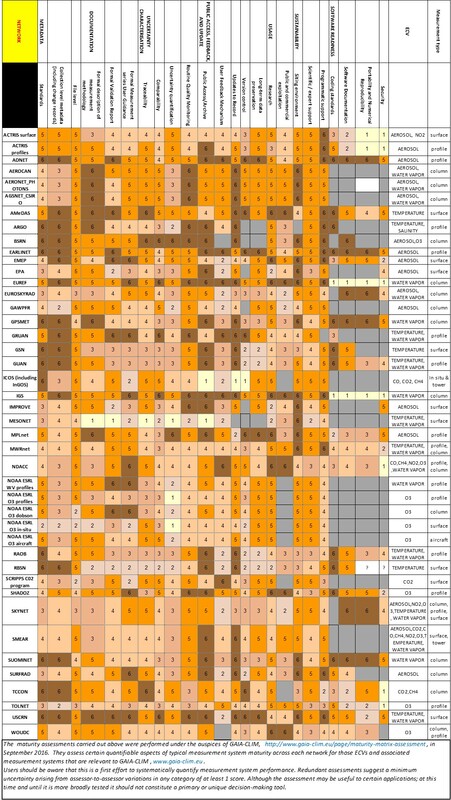 Table . 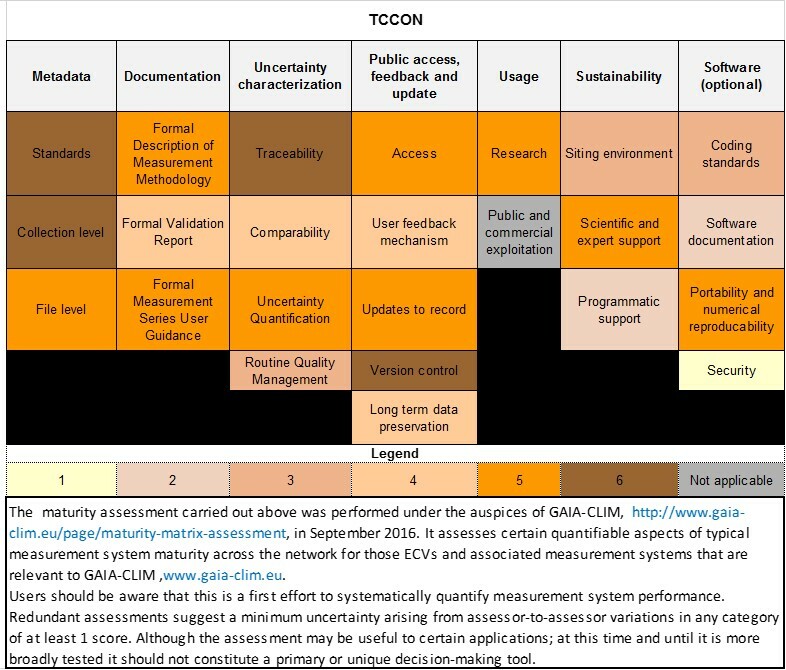 Full list of networks assessed for which maturity matrices are available , the list above notes ECV and measurement type for each network.